Capitulo novo aberto para pesquisa. O mais curioso nesta notícia e’ a loucura humana. 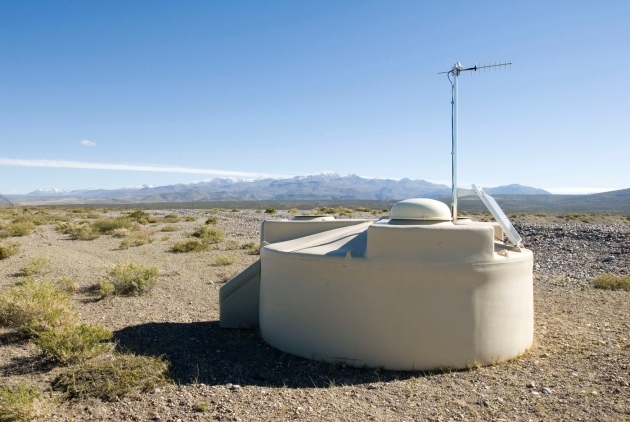 1600 tanques de agua a cada intervalo de 1,5 kilometros em cerca de 3.000 kilometros para… captar raios cosmicos! Para detectar esses chuveiros, o Observatório Pierre Auger tem 1.600 tanques de água de tamanho de carro colocados a intervalos de 1,5 km, para cobrir 3.000 quilômetros quadrados de planícies gramíneas na província argentina de Mendoza. Quatro conjuntos de telescópios monitoram o céu sobre a disposição, e – nas noites sem lua – podem detectar flashes de luz ultravioleta gerados pelos chuveiros. A partir da sua localização relativamente próxima ao equador, a matriz pode pegar raios cósmicos provenientes de todo o céu do sul, bem como de grande parte do céu do norte, cobrindo 85% da esfera celestial. Melhoria da Vida nas Cidades: projetos internacionais, financiamentos, Ideias, etc. Muitas inovações para melhorar a vida na cidades, financiamento para projetos, etc. Este link se abre para centenas de outros internacionais. As the OrganiCity smart platform is being built, to meet the vision set through citizen discussions, constant input and feedback is required and encouraged. What data do you need? What devices do you wish to connect? How should OrganiCity call for experiments? How can we make that experimentation easier? Together, the city, businesses, researchers and citizens can create a better, more inclusive, more accessible smart city. The OrganiCity platform is yours to experiment upon. Connecting our cities, and providing local data in each, OrganiCity will invite and support your experiments through two open calls. Every experiment will increase understanding of the possibilities made available through the platform, will help OrganiCity itself mature, and will bring us closer to a smarter more liveable city of the future. Energy neutral operation is a mode of operation where the energy consumption of the node is always less or equal than the energy harvested from the environment. Once in this state, the sensor is capable of operating perpetually. 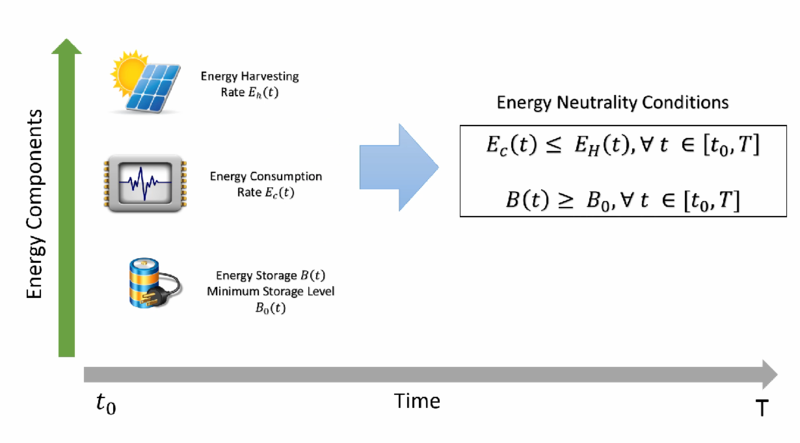 In order to achieve energy neutral operation, energy optimisation methods need to fulfil the energy neutrality constraints while maximising performance.Energy neutrality constraints deals with the relationship among the three different types of energy: the energy harvested by the harvesting device, the energy consumed by the sensor and the energy stored in the battery/supercapacitor. This relationship can be described through mathematical models, which helps to understand the energy behaviour and the amount of available energy for the next time slots. These models can then be used by an optimisation algorithm, such as an energy-neutral MAC protocol or task scheduling, to dynamically adapt the sensor or network behaviour. An energy neutral optimisation methodology, therefore, must have an optimisation algorithm associated with a good energy model in order to achieve better results. Ver projetos efetivados anteriores para levantar nomes de integrantes do colégio, entrar em contacto com o integrante e propor projeto. Fazer reunião entre os interessados, lendo o regulamento, debatendo possibilidades e elaborando um projeto ( mesmo que o projeto não seja bem sucedido, o grupo vai ganhar experiência para identificação de similares oportunidades ( que existem em quantidade pela Internet), e aprendizagem para novas tentativas. Encourage and enable a wider range, and greater number of, Imperial staff and students to develop and deliver new societal engagement initiatives. Enhance the diversity of engagement initiatives across Imperial. In particular encouraging two-way engagement – where participants are involved in the engagement process and/or involved in the research process. Engage a range of patients, publics, schools and local communities with Imperial’s research and/or education in a mutually beneficial way. Increase the number of collaborative approaches to engagement. Fund initiatives that have potential to strengthen research impact; leading to new applications for external funding and supporting Imperial’s strategic goals. Develop high-quality engagement with research activities that strengthen research impact. Extend previous successful societal engagement activities (e.g. reach a new audience group or develop a new collaboration). Undertake pilots of pioneering engagement activities to evaluate what works, ideally with a view to future development including securing external funding. Develop the engagement skills and learnings of the wider Imperial College Community. Up to £10,000 will be awarded in December 2017. We expect to fund five proposals in the region of £2,000, but we can be flexible to accommodate larger or smaller proposals for exceptional projects. The Principal Applicant must be an Imperial staff member, but proposals can involve a team made up of students and/or external partners as well as the Principal Applicant. Proposals can have international reach and can involve international collaborators, partners and/or audiences. Existing engagement activities will not be eligible for funding, unless the proposal demonstrates that a significant new/different element is being introduced, such as a new collaborator, audience or approach. Exhibiting at the Imperial Festival and Fringe should not be the sole objective of the proposal, although proposals can incorporate the Festival or Fringe events as one output among others. Projects need to engage one or more of the following audiences – schools, local community groups, patients and the wider public*. Projects can involve the engagement of other stakeholders, such as from industry, government or the media, however projects that only engage these stakeholders and not the audiences listed in Eligibility Point 5, would not be eligible. *In this context, the public includes “individuals, groups, young people and their families, who do not currently have a formal relationship with a HEI through teaching, research or knowledge transfer, but who may have an interest in these activities or upon whom the research or its application could impact.” – Research Councils UK. Please download and use the Seed Fund Application Form provided at the top of this page. One supporting document is allowed per application (no more than one page in length) that either provides images or diagrams, or provides details of a previous similar project, to help illustrate your proposal. For examples of previously funded engagement projects, read about the recipients from the first round of our Seed Fund. Application Forms and supporting documentation (if any) are to be sent to societal_engagement@imperial.ac.uk by the deadline. For any questions, please contact Emelia Gobbe or Vicky Brightman on societal_engagement@imperial.ac.uk. This award is offered by Academic Partnerships, led by the Associate-Provost Professor Maggie Dallman. Applications will be considered by a selection panel chaired by the Associate-Provost (Academic Partnerships), with representation from across the College. Quality The engagement activities encourage two-way engagement. For example, audiences and/or collaborators are involved in the development of the engagement process and/or involved in an Imperial research process – rather than solely being a recipient of the dissemination of our research and/or engagement activity. Targeted Targeting of specific audiences with a clear rationale for why those participants, collaborators, and/or partners have been targeted, and evidence that there is sufficient means to reach those audiences. Detailed descriptions are encouraged rather than broad terms such as ‘the general public’ e.g. specific research beneficiaries, ethnic minorities, socioeconomic groups, school key stages, geographically isolated communities, independent adults, families with under 5s. What is the need for the project and how will it benefit all those involved. For example participants, audiences and collaborators, as well as meeting Imperial’s research and strategic goals. Relevance of the project or research to the target audience(s). The potential to impact research and/or researchers. Timeliness – Why is this needed now? E.g. linking to external events or agendas e.g. National Science Week, local festivals, or anniversaries of key people/events. Evaluation Evidence of realistic evaluation commensurate to the project. Achievability Clear and realistic objectives and timelines with a clear plan for delivery of the project and the right expertise involved to make the project a success. Legacy The extent to which the project leaves a legacy beyond the life of the project. This could be skills developed (internally and/or externally), relationships/collaborations developed and/or maintained, new avenues for funding being sought or lessons learnt to inform future engagement projects. A degree of evaluation commensurate to the project scale will be required from you. A brief final report will be required to summarise achievements and findings from your evaluation. Final reports should be sent to societal_engagement@imperial.ac.uk on or before 31 July 2018. Project activities will need to be documented in some way e.g. by photography or AV, to capture the process and the outcome, which may be shared with the wider College community through the Societal Engagement webpages and/or internal news stories. For successful projects, please contact your Finance Officers for advice on setting up an internal G account code linked to the relevant departmental cost centre. Once your code is established, please inform societal_engagement@imperial.ac.uk and Ellie Smith (eleanor.smith@imperial.ac.uk) who will arrange for the funds to be transferred to you. All funds must be spent by 31 July 2018.